Is Your School In Compliance With The July 1 Internet Safety Regulations? Santa Ana, CA—Federal legislation signed into law in October 2008 requires schools receiving E-Rate discounts on telecommunication services and internet access to make available online safety education for their students by July 1, 2012. These new laws focus on online behaviors including cyber bullying, responses to potential internet predators, and interactions on social networking web sites. Web Wise Kids' comprehensive approach to internet safety through games/programs and training can help schools prepare to meet the requirement. Schools needing to comply can visit the CyberCops Series School Kit or MISSING School Kit pages on the Web Wise Kids site. Along with the three games, schools will receive a training manual and consulting through scheduled webinars for a one-time cost of $995.00. For almost a decade, Web Wise Kids (WWK), a national nonprofit organization, has delivered a proven, research-based approach to Internet safety education that can help schools in our area effectively meet this new requirement. In response to alarming and current statistics on inappropriate Internet behavior, Web Wise Kids' award-winning, highly interactive games offer a positive, preventive, and proactive way to collaboratively engage youth, emotionally and cognitively. These games, based on real life situations, are distributed primarily through training sessions for local school personnel facilitated by WWK trainers. 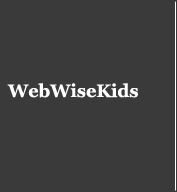 Web Wise Kids (http://webwisekids.org) is a national 501(c)3 nonprofit organization based in Southern California with satellite offices in the Northwest and Washington, D.C. Our mission is to empower today's youth to make wise choices online. Since 2000, Web Wise Kids has been a leader in preventing online child victimization by providing innovative and effective tools to assist young people to flourish in a world of media and technology. Web Wise Kids is honored to be a part of the Federal government's Project Safe Childhood initiative. Trend Micro, CTIA/The Wireless Foundation and the Verizon Wireless Foundation are trusted supporters of Web Wise Kids.